Mothers Day is just around the corner. Have you get your treat and surprise for her ready? With all the care and love our mother bestow us, we should thank her every single day of our life. But since most of us can’t accomplish this, Mother’s day is reserved for wonderful mom to be appreciated and be shown some love for. It is the day reserved to make your mom feel extra special. 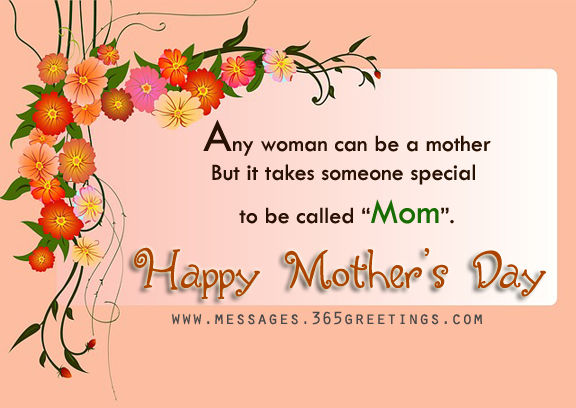 On Mothers Day, many people show their appreciation and love to their mothers through giving mothers day cards, gifts and letters, throwing a surprise party or treating their mom out. Although this is the tradition, many people are still struggling. They don’t have any idea what to write in their mothers day card, gift tag or letters. While all you have to do is to pour your feelings into words, it’s not that easy to achieve. That’s why Mothers Day quotes are mostly used as card wording. 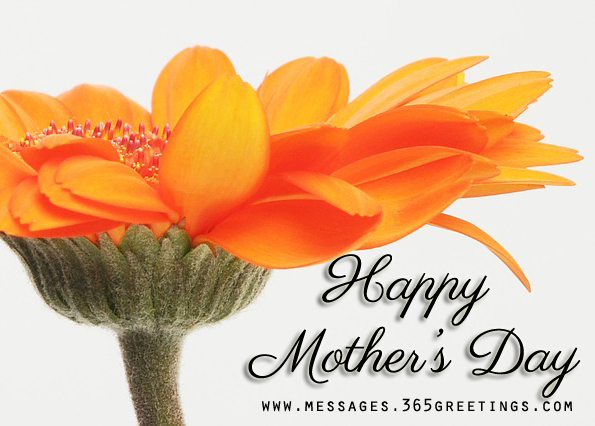 Greet your mom a happy mothers day using a saying or quote. 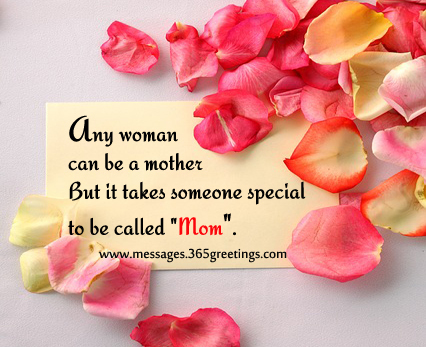 There are a lot of mothers day quote that define the beauty and tenderness of mothers love which are perfect as introduction for every card or letter. Choose from these quotes for mothers day. But it takes someone special to be called “Mom”. My mom is a never-ending song in my heart of comfort, happiness, and being. Making a decision to have a child–it’s momentous. The bond between a mom and a daughter is something you cannot replicate. We all know that most daughters are more attached to their mom than to their dad. This mother’s day, I’ve collected some of the quotes of famous people, who are also a daughter to their mom. The power of that young woman, my mother. But I always remember the tune. It knows no law, no pity, it dares all things and crushes down remorselessly all that stands in its path. We are never far from home. Rock me to sleep, mother; rock me to sleep. A teacher of compassion, love and fearlessness. Then my mother is that sweet flower of love. Though everything I write, is a poem to my mother. Mother – that was the bank where we deposited all our hurts and worries. I remember my mother’s prayers and they have always followed me. For thirty years she served the family nothing but leftovers. Mera pyaar hamesha tumhare saath hai. Puchta he jab koi Duniya me Mohabbat he kaha.. In Hindi: भगवान् सभी जगह नहीं हो सकते इसलिए उसने माएं बनायीं . In Hindi: मैं जो कुछ भी हूँ या होने की आशा रखता हूँ उसका श्रेय मेरी माँ को जाता है . In Hindi: कला की दुनिया में ऐसा कुछ भी नहीं है जैसा की उन लोरियों में होता था जो माएं गाती थीं . In Hindi: ज़िन्दगी उठने और माँ के चेहरे से प्यार करने के साथ शुरू हुई . Only mothers can think of the future – because they give birth to it in their children. In Hindi: केवल माएं भविष्य के बारे में सोच सकती हैं – क्योंकि वो अपने बच्चों के रूप में इसे जन्म देती हैं .